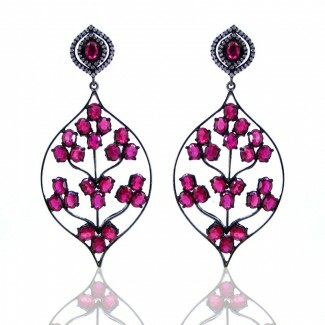 Earrings There are 140 products. 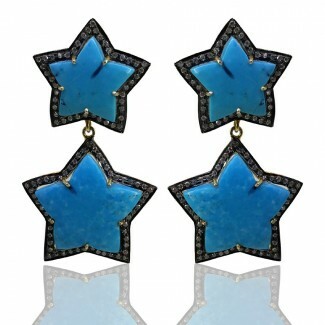 This Vintage Style Yellow Gold & Black Rhodium Polished 925 Sterling Silver Earring is set with Irregular Shape Multi Stones and Turquoise. 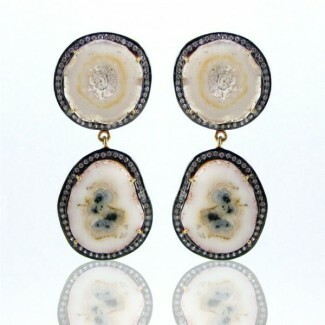 This Vintage Style Yellow Gold & Black Rhodium Polished 925 Sterling Silver Earring is set with Irregular Shape Solar Quartz and Turquoise. 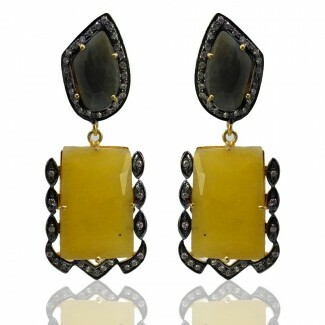 This Vintage Style Yellow Gold & Black Rhodium Polished 925 Sterling Silver Earring is set with Irregular Shape Yellow Sapphire and Turquoise. 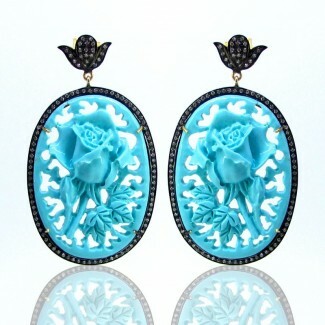 This Vintage Style Yellow Gold & Black Rhodium Polished 925 Sterling Silver Earring is set with Mixed Shapes Shape Blue Onyx and Turquoise. 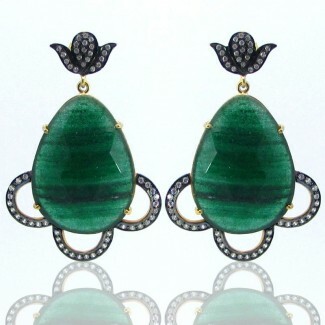 This Vintage Style Yellow Gold & Black Rhodium Polished 925 Sterling Silver Earring is set with Irregular Shape Green Quartz and Diamond White CZ. 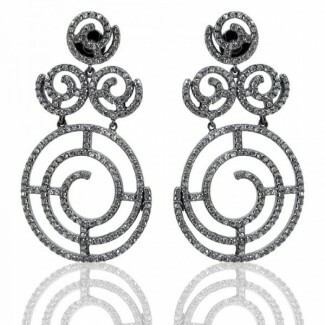 This Vintage Style White Gold & Black Rhodium Polished 925 Sterling Silver Earring is set with Irregular Shape Multi Sapphire and Diamond White CZ. 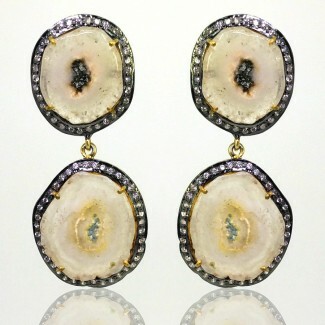 This Vintage Style Yellow Gold & Black Rhodium Polished 925 Sterling Silver Earring is set with Mixed Shapes Shape Drusy Quartz and Diamond White CZ. 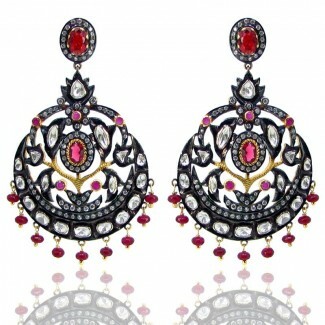 This Vintage Style Yellow Gold & Black Rhodium Polished 925 Sterling Silver Earring is set with Irregular Shape Ruby and Diamond White CZ. 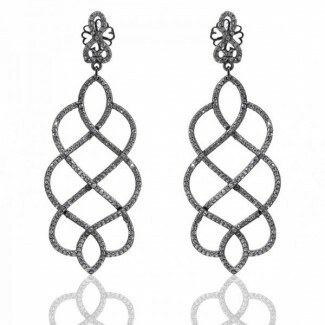 This Vintage Style Yellow Gold & Black Rhodium Polished 925 Sterling Silver Earring is set with Mixed Shapes Shape Multi Stones and Diamond White CZ. 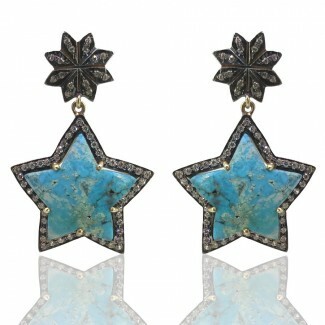 This Vintage Style Yellow Gold & Black Rhodium Polished 925 Sterling Silver Earring is set with Star Shape Turquoise and Diamond White CZ. 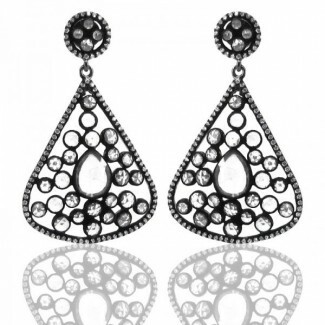 This Vintage Style Yellow Gold & Black Rhodium Polished 925 Sterling Silver Earring is set with Irregular Shape Multi Sapphire and Diamond White CZ. 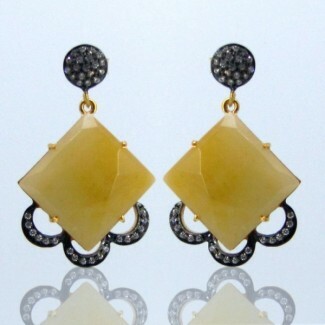 This Vintage Style Yellow Gold & Black Rhodium Polished 925 Sterling Silver Earring is set with Irregular Shape Solar Quartz and Diamond White CZ. 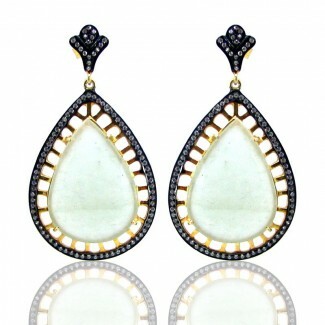 This Vintage Style Yellow Gold & Black Rhodium Polished 925 Sterling Silver Earring is set with Round Shape Green Quartz and Diamond White CZ. 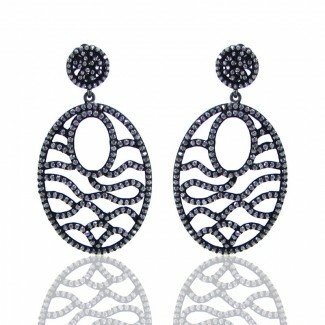 This Vintage Style White Gold & Black Rhodium Polished 925 Sterling Silver Earring is set with Irregular Shape Sapphire and Diamond White CZ. 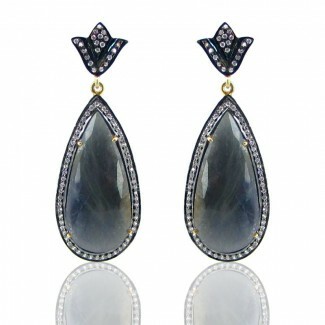 This Vintage Style Yellow Gold & Black Rhodium Polished 925 Sterling Silver Earring is set with Oval Shape Sapphire and Diamond White CZ. 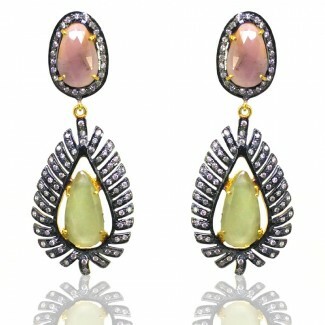 This Vintage Style Yellow Gold & Black Rhodium Polished 925 Sterling Silver Earring is set with Pear Shape Sapphire and Diamond White CZ. 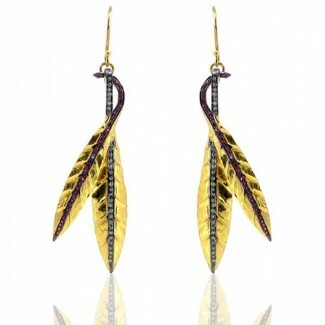 This Vintage Style Yellow Gold & Black Rhodium Polished 925 Sterling Silver Earring is set with Mixed Shapes Shape Multi Sapphire and Diamond White CZ. 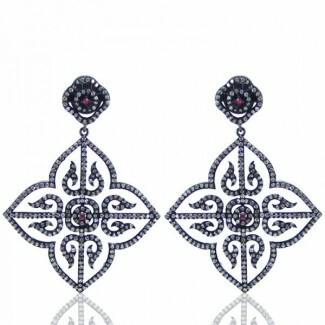 This Vintage Style & Black Rhodium Polished 925 Sterling Silver Earring is set with Mixed Shapes Shape Multi Stones and Diamond White CZ. 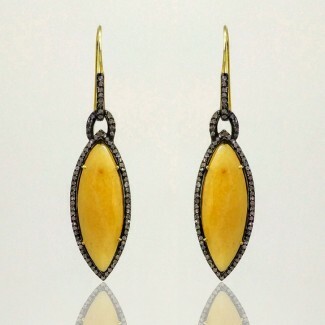 This Vintage Style Yellow Gold & Black Rhodium Polished 925 Sterling Silver Earring is set with Irregular Shape Yellow Sapphire and Diamond White CZ. 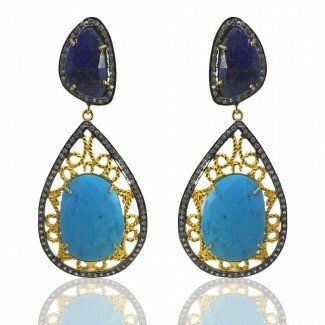 This Vintage Style Yellow Gold & Black Rhodium Polished 925 Sterling Silver Earring is set with Mixed Shapes Shape Lapis Lazuli and Turquoise. 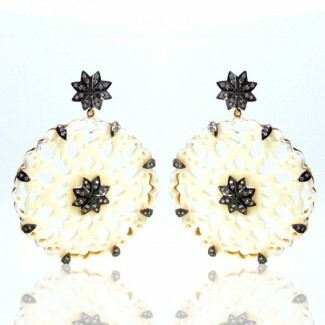 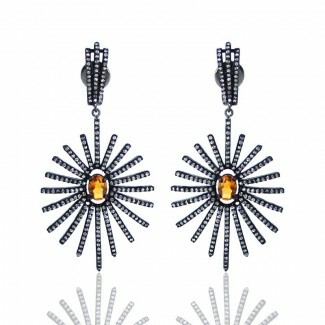 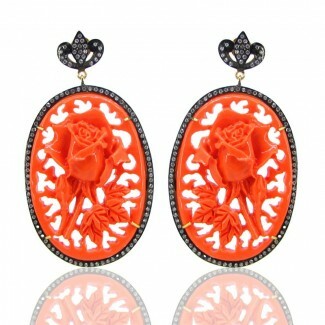 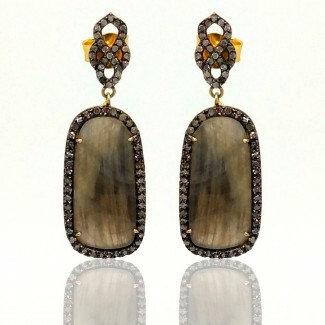 This Vintage Style Yellow Gold and Black Rhodium Polished 925 Silver Earring is set with Diamonds. 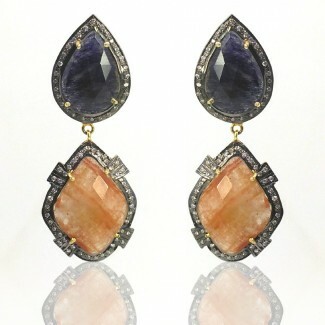 This Vintage Style Yellow Gold and Black Rhodium Polished 925 Silver Earrings is set with Irregular Shaped Sapphire and Diamonds. 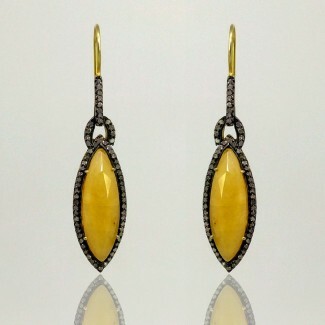 This Vintage Style Yellow Gold and Black Rhodium Polished 925 Silver Earrings is set with Marquise Shaped Yellow Sapphire and Diamonds. 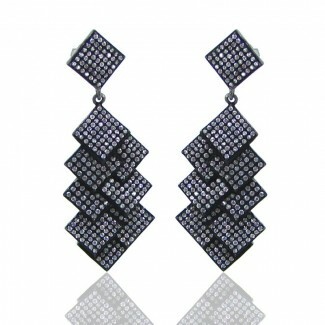 This Contemporary Style and Black Rhodium Polished 925 Silver Earrings is set with Round Shaped Diamond White CZ. 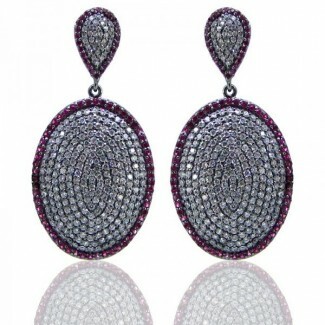 This Contemporary Style and Black Rhodium Polished 925 Silver Earrings is set with Oval Shaped Lab Ruby and Diamond White CZ. 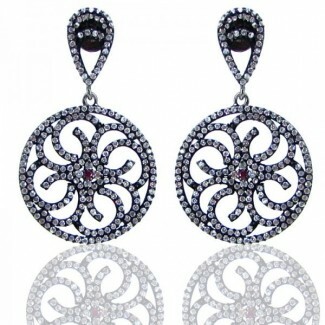 This Contemporary Style and Black Rhodium Polished 925 Silver Earrings is set with Round Shaped Lab Ruby and Diamond White CZ. 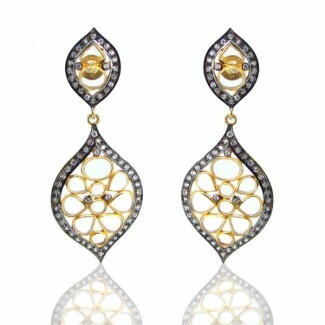 This Filigree Style Yellow Gold and Black Rhodium Polished 925 Silver Earrings is set with Oval Shaped Created Stone and Diamond White CZ. 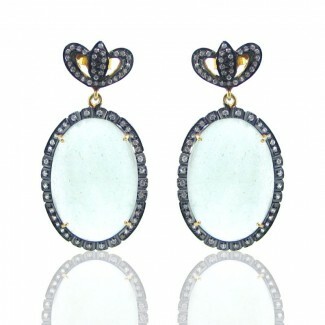 This Filigree Style Yellow Gold and Black Rhodium Polished 925 Silver Earrings is set with Oval Shaped Turquoise and Diamond White CZ. 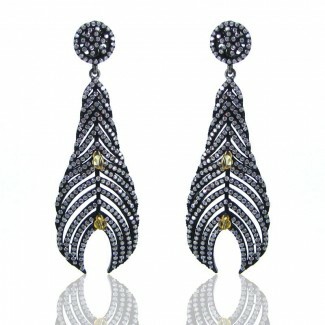 This Vintage Style Yellow Gold and Black Rhodium Polished 925 Silver Earrings is set with Pear Shaped Sapphire and Diamond White CZ. 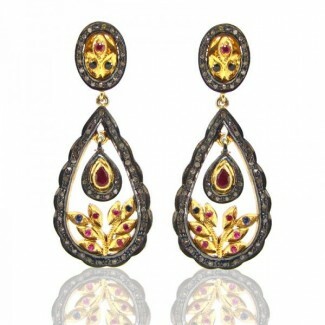 This Vintage Style Yellow Gold and Black Rhodium Polished 925 Silver Earrings is set with Oval Shaped Hydro Ruby and Synthetic Moissanite. 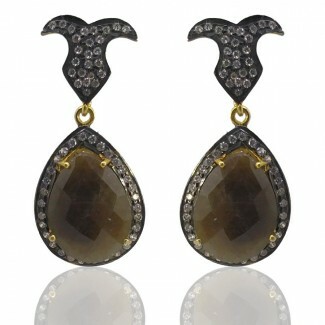 This Vintage Style Yellow Gold and Black Rhodium Polished 925 Silver Earrings is set with Pear Shaped Hydro Ruby and Synthetic Moissanite. 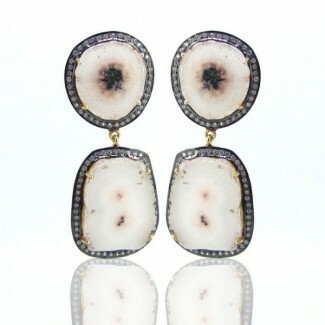 This Vintage Style Yellow Gold and Black Rhodium Polished 925 Silver Earrings is set with Pear Shaped Ice Quartz and Diamond White CZ. 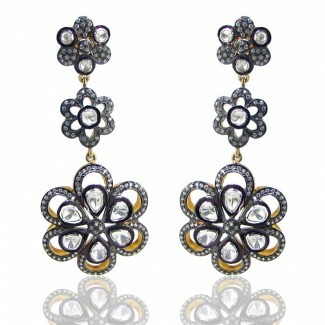 This Floral Style and Black Rhodium Polished 925 Sterling Silver Earrings is set with Pear Shape Synthetic Moissanite and Diamond White CZ. 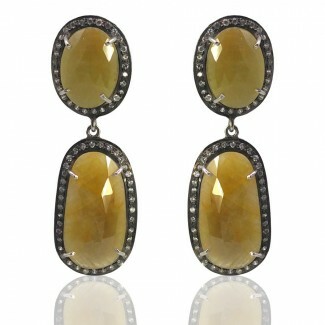 This Vintage Style Yellow Gold and Black Rhodium Polished 925 Silver Earrings is set with Round Shaped Yellow Sapphire and Diamond White CZ. 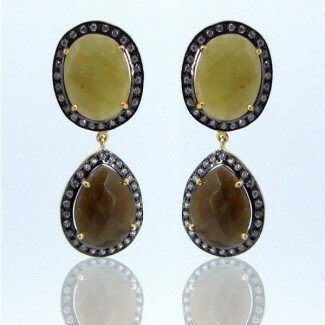 This Vintage Style Yellow Gold and Black Rhodium Polished 925 Silver Earrings is set with Roound Shaped Green Rutile and Diamond White CZ. 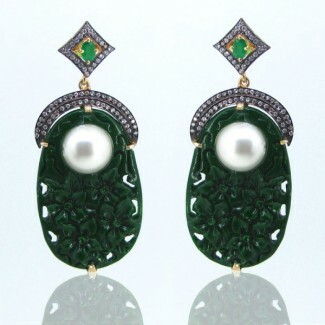 This Vintage Style Yellow Gold and Black Rhodium Polished 925 Silver Earrings is set with Cushion Shaped Green Quartz and Diamond White CZ. 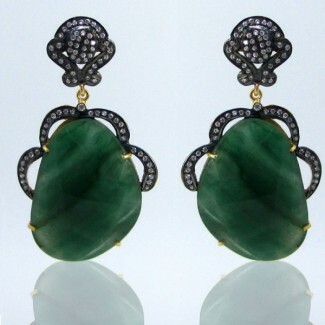 This Vintage Style Yellow Gold and Black Rhodium Polished 925 Silver Earrings is set with Pear Shaped Green Quartz and Diamond White CZ. 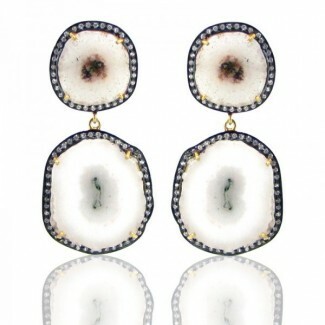 This Vintage Style Yellow Gold and Black Rhodium Polished 925 Silver Earrings is set with Irregular Shaped Solar Quartz and Diamond White CZ. 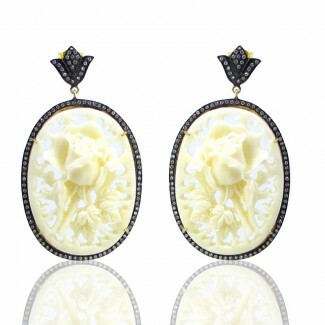 This Vintage Style Yellow Gold and Black Rhodium Polished 925 Silver Earrings is set with Oval Shaped Ice Quartz and Diamond White CZ. 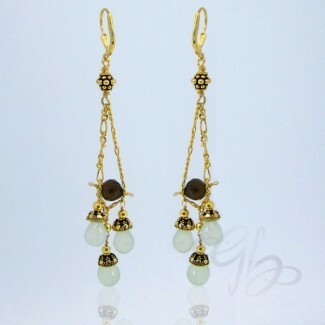 This Vintage Style Yellow Gold and Black Rhodium Polished 925 Silver Earrings is set with Fancy Shaped Green Quartz and Diamond White CZ. 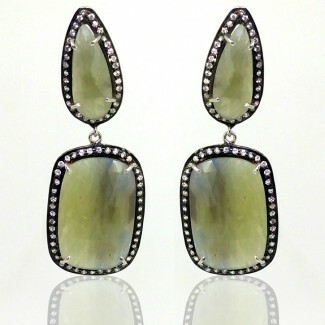 This Contemporary Style and Black Rhodium Polished 925 Silver Earrings is set with Round Shaped Lemon Quartz and Diamond White CZ. 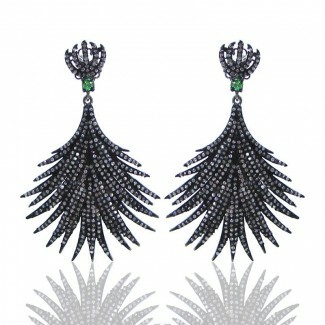 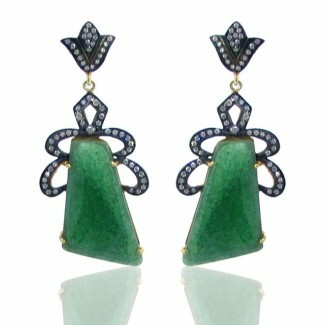 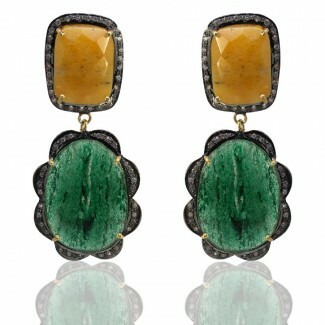 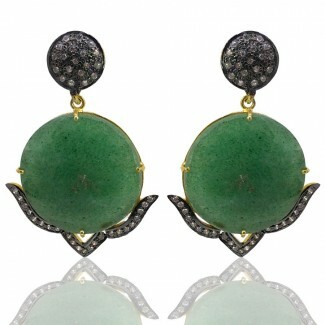 This Contemporary Style and Black Rhodium Polished 925 Silver Earrings is set with Oval Shaped Hydro Emerald. 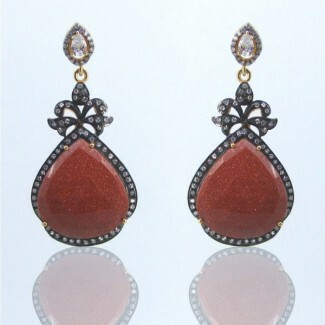 This Contemporary Style and Black Rhodium Polished 925 Silver Earrings is set with Round Shaped Citrine & Lab Ruby and Diamond White CZ. This Contemporary Style and Black Rhodium Polished 925 Silver Earrings is set with Round Shaped Lab Ruby & Hydro Emerald and Diamond White CZ. This Contemporary Style and Black Rhodium Polished 925 Silver Earrings is set with Round Shaped Citrine and Diamond White CZ. 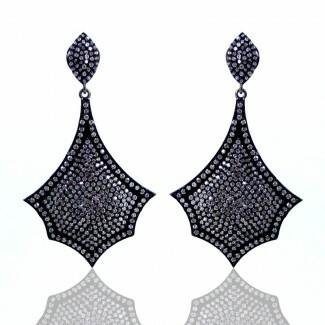 This Contemporary Style and Black Rhodium Polished 925 Silver Earrings is set with Round Shaped Black Spinel and Diamond White CZ. 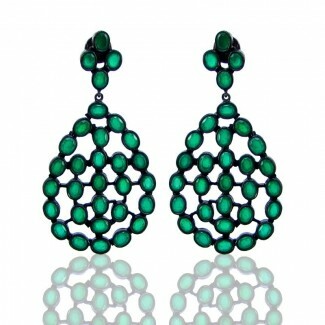 This Contemporary Style and Black Rhodium Polished 925 Silver Earrings is set with Round Shaped Hydro Emerald and Diamond White CZ. 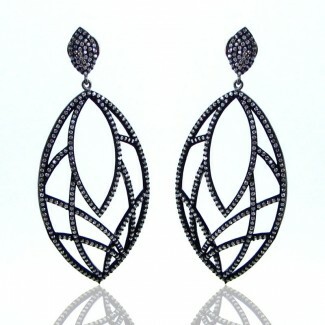 This Contemporary and Black Rhodium Polished 925 Silver Earrings is set with Round Shaped Diamond White CZ. 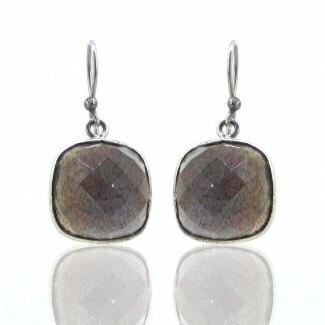 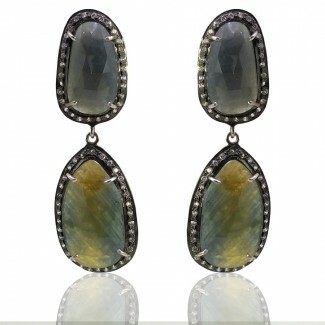 This Classic Style Rhodium Polished 925 Sterling Silver Earrings is set with Labradorite. This Vintage Style Yellow Gold and Black Rhodium Polished 925 Silver Earrings is set with Square Shaped Yellow Sapphire and Diamond White CZ. 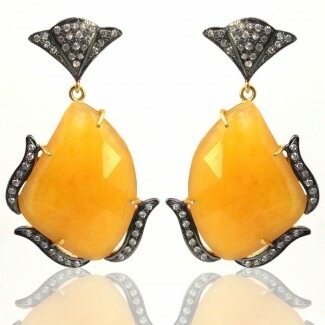 This Vintage Style Yellow Gold and Black Rhodium Polished 925 Silver Earrings is set with Pear Shaped Yellow Sapphire and Diamond White CZ. 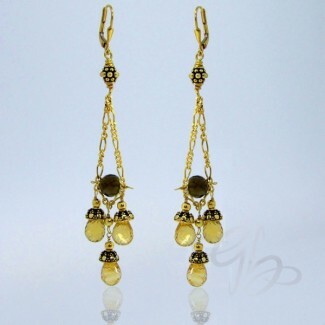 This Vintage Style Yellow Gold and Black Rhodium Polished 925 Silver Earrings is set with Irregular Shaped Yellow Sapphire and Diamond White CZ. 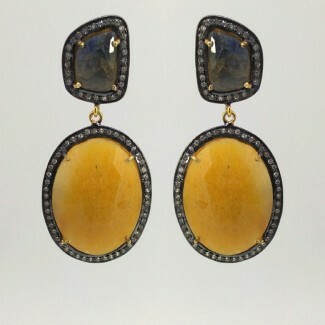 This Vintage Style Yellow Gold and Black Rhodium Polished 925 Silver Earrings is set with Round Shaped Created Stone and Diamond White CZ. 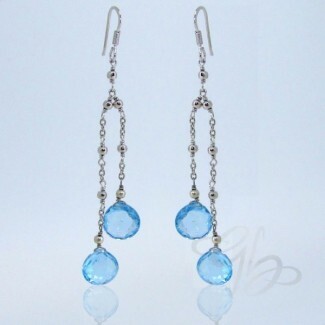 This Contemporary Style White Gold and Polished 925 Silver Earrings is set with Heart Shaped Sky-Blue Topaz. 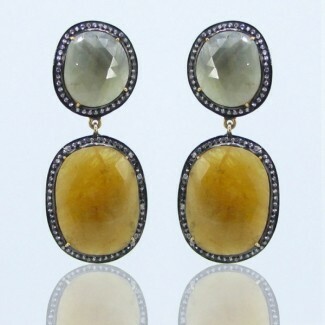 This Vintage Style Yellow Gold and Black Rhodium Polished 925 Silver Earrings is set with Irregular Shaped Sand Stone and Diamond White CZ. 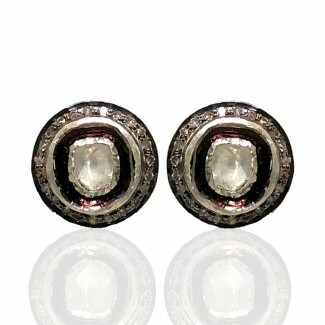 This Vintage Style Yellow Gold and Black Rhodium Polished 925 Silver Earringss is set with Irregular Shaped Solar Quartz and Diamond White CZ. 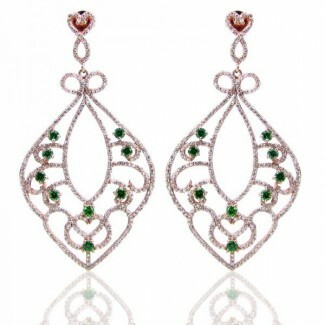 This Classic Style Rose Gold and Polished 925 Silver Earrings is set with Round Shaped Emerald Green CZ and Diamond White CZ. 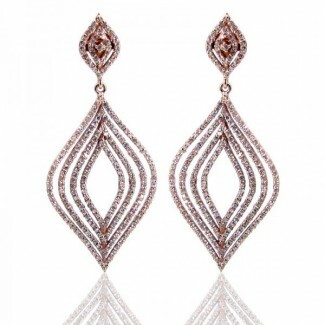 This Contemporary Style Rose Gold and Polished 925 Silver Earrings is set with Round Shaped Diamond White CZ. 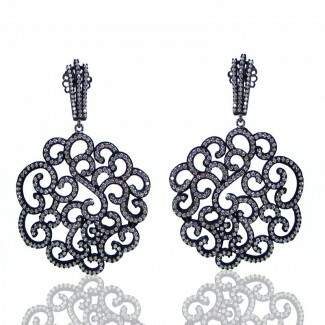 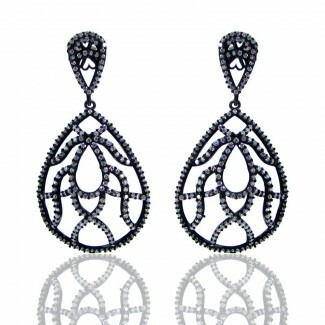 This Classic Style and Black Rhodium Polished 925 Silver Earrings is set with Round Shaped Diamond White CZ. 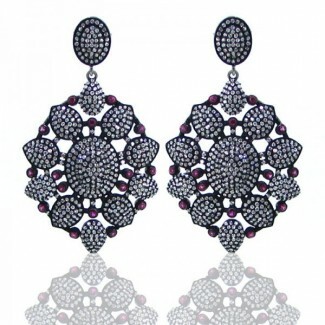 This Contemporary Style and Black Rhodium Polished 925 Silver Earrings is set with Marquise Shaped Spessartite Garnet and Diamond White CZ. 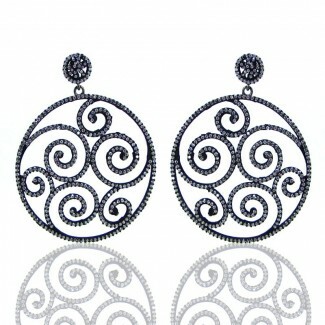 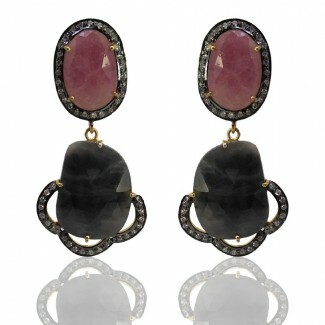 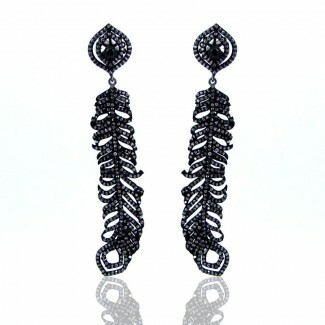 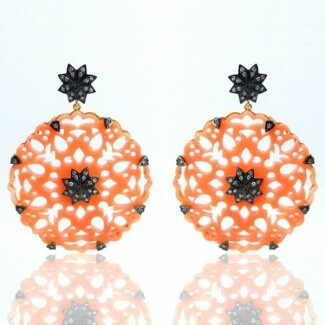 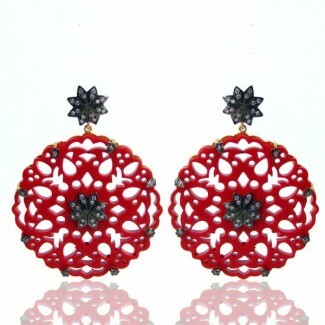 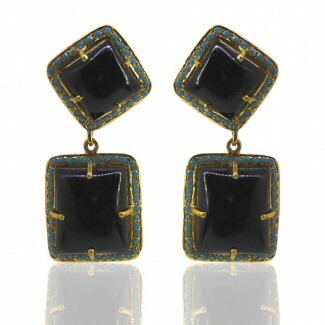 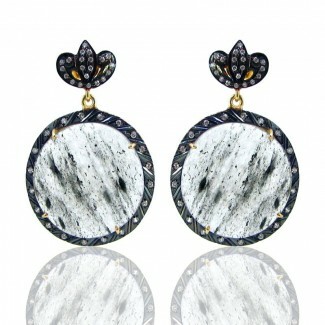 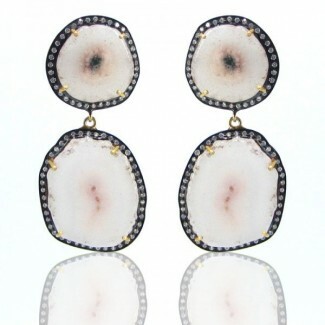 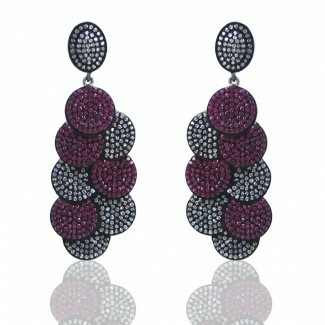 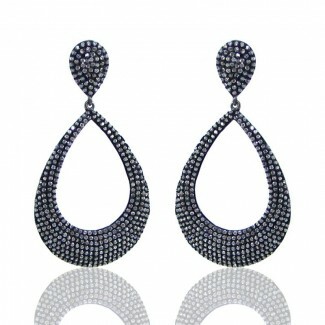 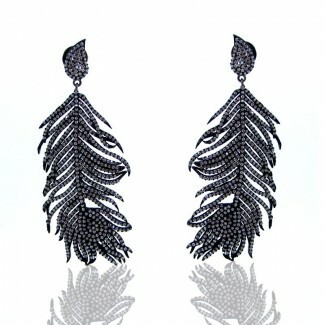 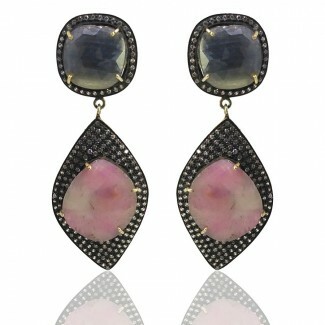 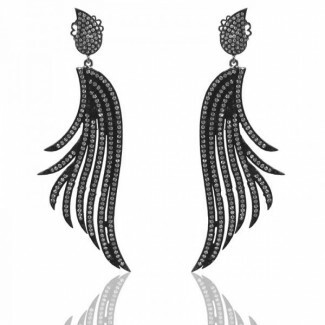 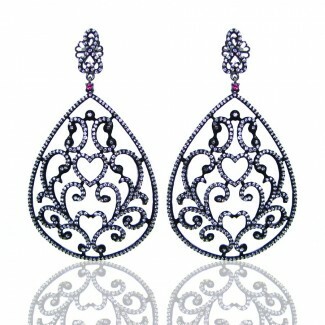 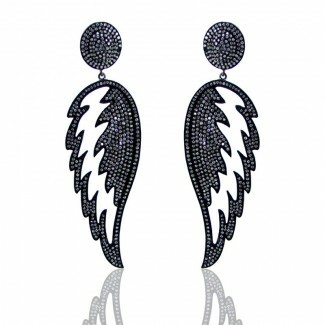 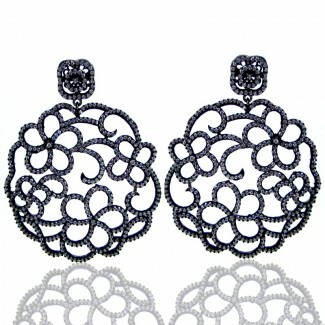 This Contemporary Style and Black Rhodium Polished 925 Silver Earrings is set with Round Shaped Multi Stones. 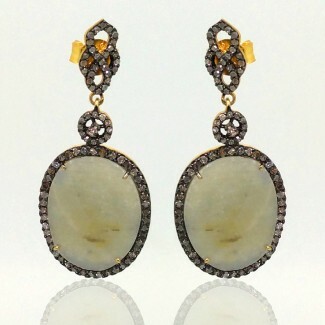 This VintageStyle Yellow Gold and Black Rhodium Polished 925 Silver Earrings is set with Round Shaped Created Stone and Diamond White CZ. 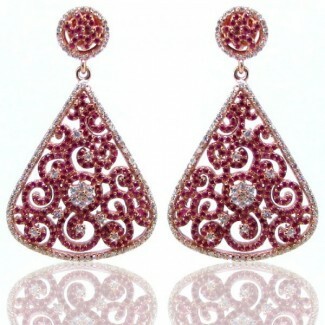 This Classic Style Rose Gold and Polished 925 Silver Earrings is set with Oval Shaped Ruby and Diamond White CZ. 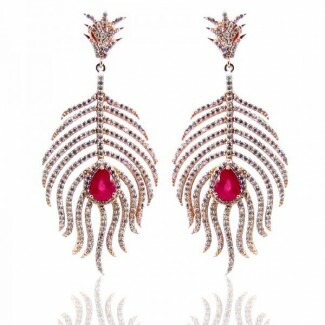 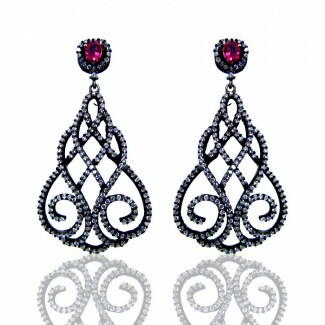 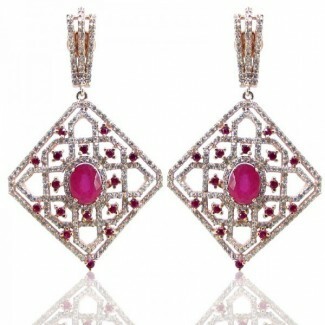 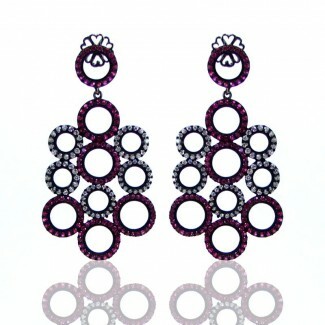 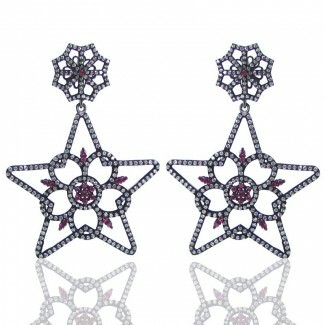 This Contemporary Style and Polished 925 Silver Earrings is set with Pear Shaped Ruby and Diamond White CZ. 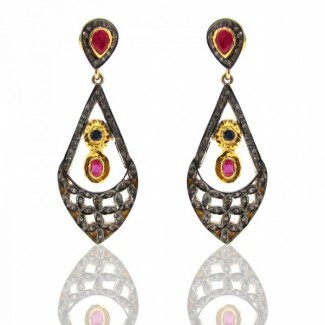 This Vintage Style Yellow Gold and Black Rhodium Polished 925 Silver Earrings is set with Mixed Shaped Ruby and Diamond White CZ. 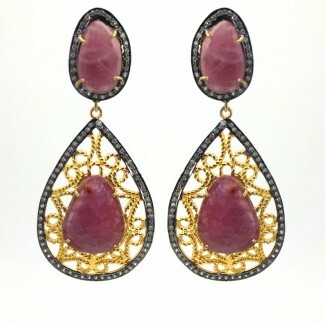 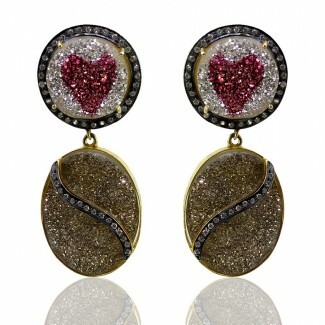 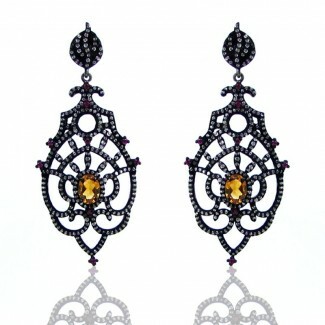 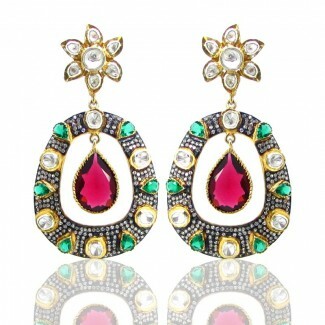 This Vintage Style Yellow Gold and Black Rhodium Polished 925 Silver Earrings is set with Mixed Shaped Ruby and Diamonds. 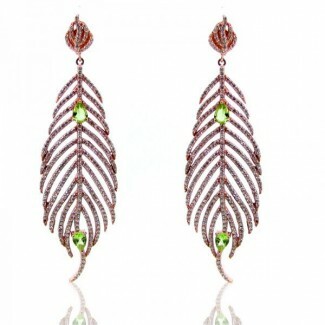 This Contemporary Style Rose Gold and Polished 925 Silver Earrings is set with Pear Shaped Peridot and Diamond White CZ. 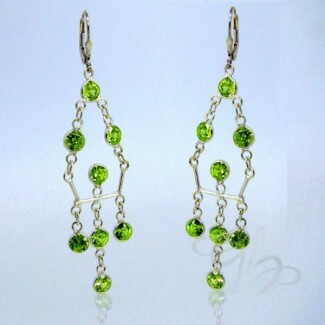 This Contemporary Style White Gold and Polished 925 Silver Earrings is set with Round Shaped Peridot Green CZ. 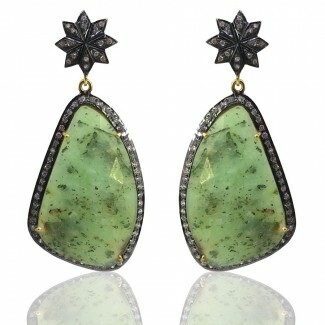 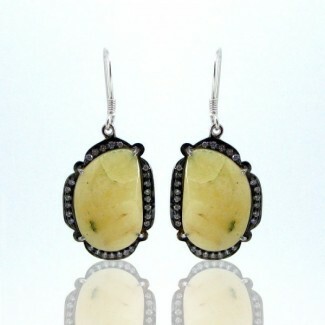 This Contemporary Style Yellow Gold and Polished 925 Silver Earrings is set with Drops Shaped Prehnite. 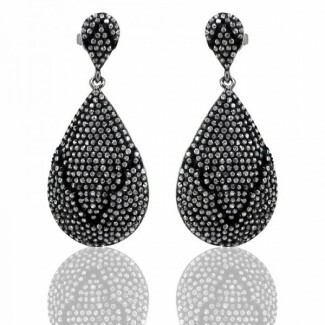 This Contemporary Style and Black Rhodium Polished 925 Silver Earrings is set with Pear Shaped Synthetic Moissanite and Diamond White CZ. 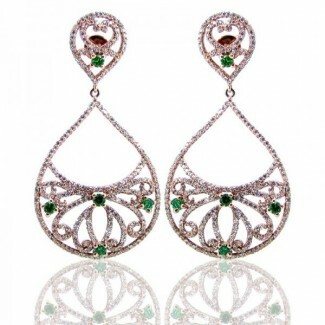 This Contemporary Style Rose Gold and Polished 925 Silver Earrings is set with Round Shaped Lab Ruby and Diamond White CZ. 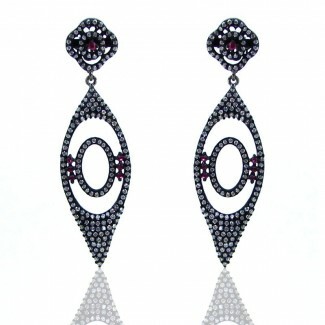 This Contemporary Style and Black Rhodium Polished 925 Silver Earrings is set with Round Shaped Ruby and Diamond White CZ. 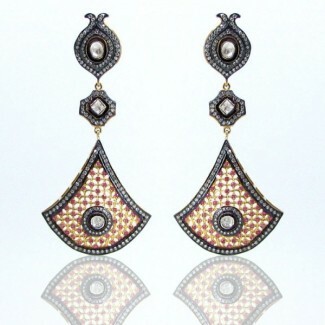 This Vintage Style Yellow Gold and Black Rhodium Polished 925 Silver Earrings is set with Mixed Shaped Multi Stones and Diamonds. 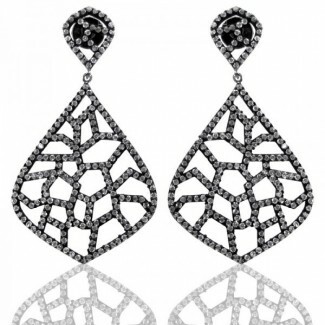 This Classic Style Yellow Gold and Black Rhodium Polished 925 Silver Earrings is set with Irregular Shaped Multi Stones and Diamond White CZ. 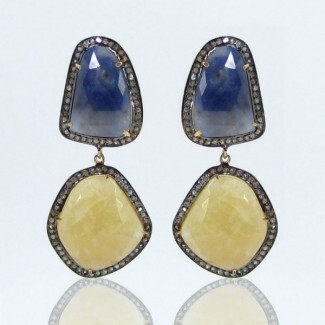 This Vintage Style Yellow Gold and Rhodium Polished 925 Silver Earrings is set with Irregular Shaped Multi Sapphire and Diamond. 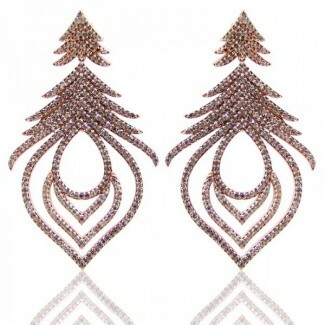 This Vintage Style Yellow Gold and Black Rhodium Polished 925 Silver Earrings is set with Irregular Shaped Multi Sapphire and Diamond White CZ. 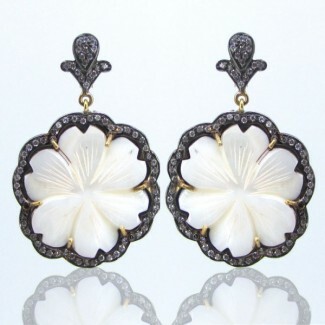 This Floral Style Yellow Gold and Black Rhodium Polished 925 Silver Earrings is set with Flower Shaped Mother Of Pearl and Diamond White CZ. 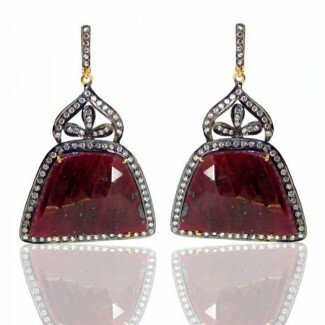 This Contemporary Yellow Gold and Polished 925 Silver Earrings is set with Round Shaped Rhodolite Garnet and Diamond White CZ. 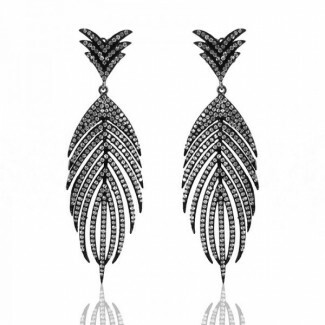 This Contemporary Style Yellow Gold and Black Rhodium Polished 925 Silver Earrings is set with Irregular Shaped Diamond White CZ. 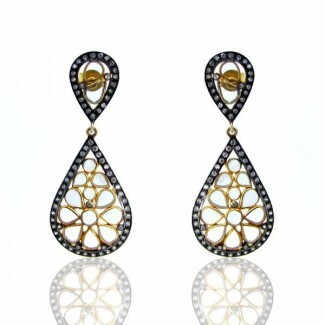 This Contemporary Style Yellow Gold and Black Rhodium Polished 925 Silver Earringss is set with Irregular Shaped Diamond White CZ. 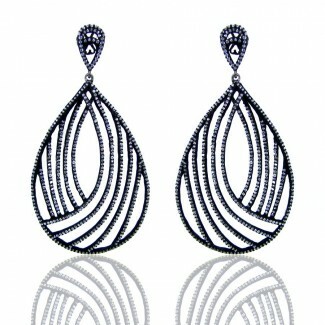 This Contemporary Style White Gold and Rhodium Polished 925 Silver Earrings is set with Round Shaped Diamond White CZ. 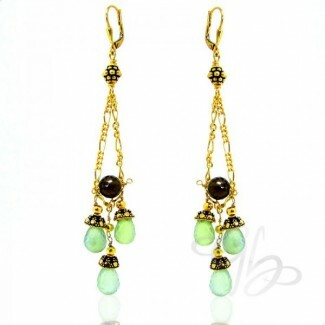 This Vintage Style Yellow Gold and Black Rhodium Polished 925 Silver Earrings is set with Irregular Shaped Green Quartz and Diamond White CZ. 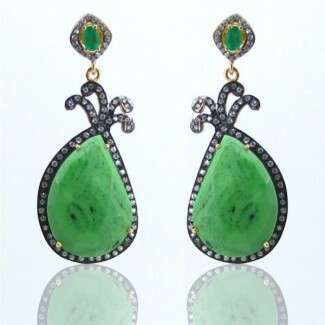 This Vintage Style Yellow Gold and Black Rhodium Polished 925 Silver Earrings is set with Oval Shaped Green Onyx and Diamond White CZ. 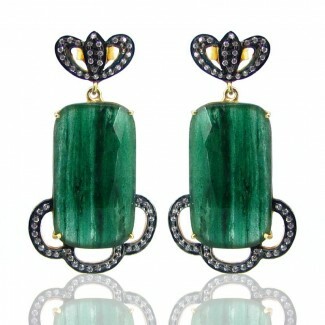 This Vintage Style Yellow Gold and Black Rhodium Polished 925 Silver Earrings is set with Irregular Shaped Green Onyx and Diamond White CZ. 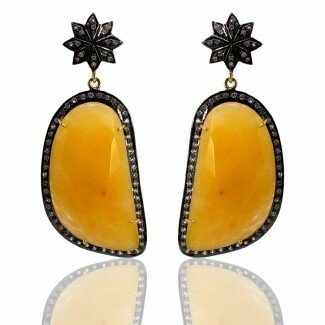 This Contemporary Style Yellow Gold and Polished 925 Silver Earrings is set with Drops Shaped Citrine. 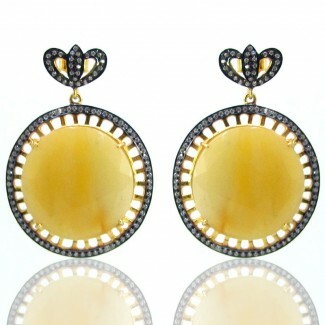 This Vintage Style Yellow Gold and Black Rhodium Polished 925 Silver Earringss is set with Round Shaped Created Stone and Diamond White CZ. 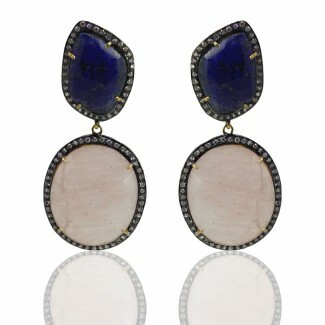 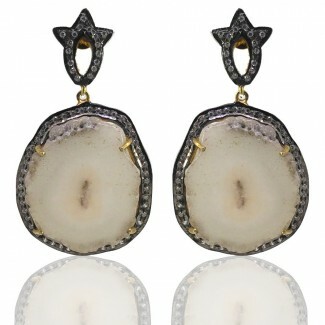 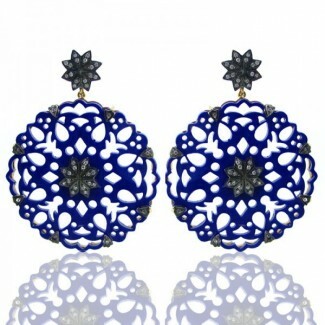 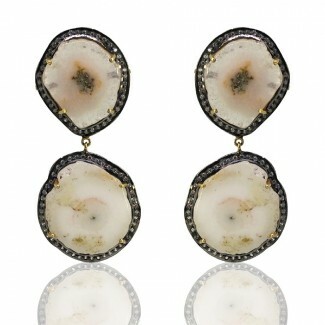 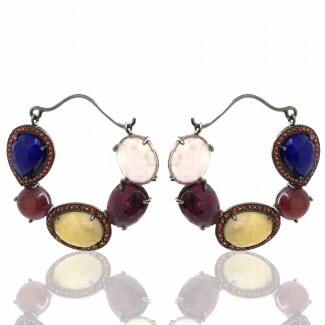 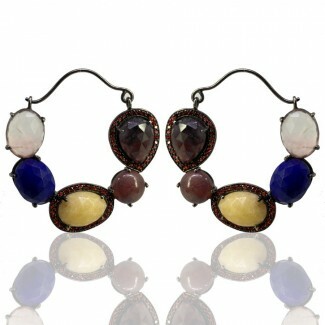 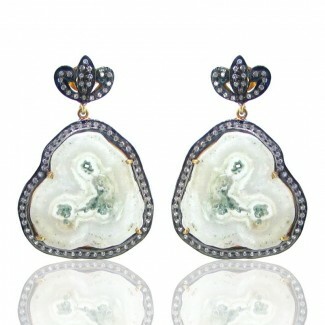 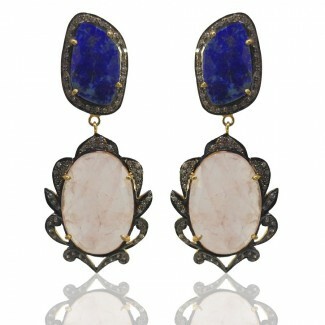 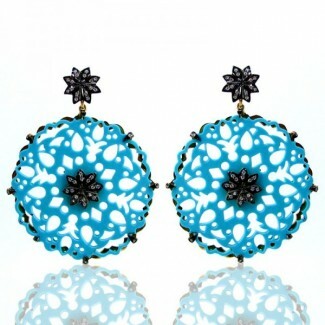 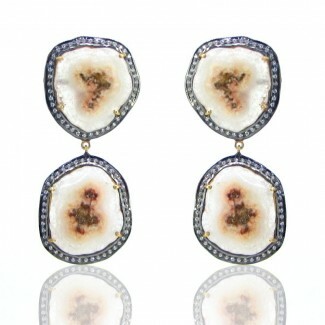 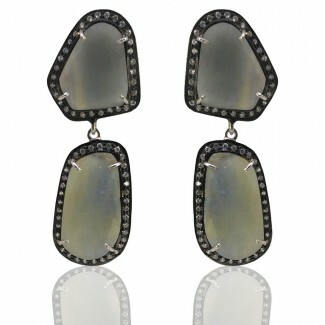 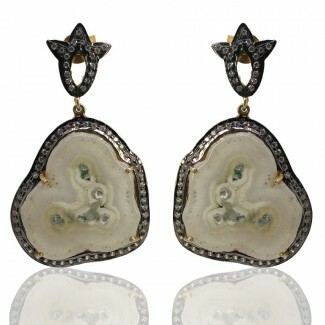 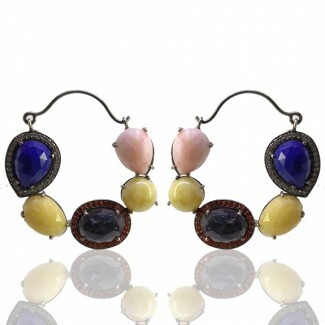 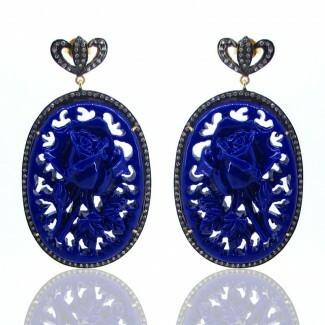 This Contemporary Style Yellow Gold and Rhodium Polished 925 Silver Earringss is set with Drops Shaped Aqua Chalcedony. This Contemporary Yellow Gold and Black Rhodium Polished 925 Silver Earrings is set with Irregular (Silver Connector) Shaped Diamond White CZ.